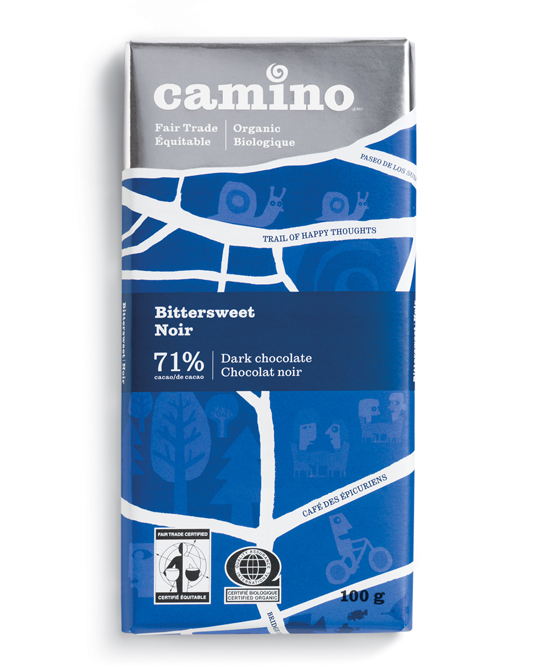 “To coincide with a greater availability in stores across Canada, Camino is unveiling a new brand packaging system for its line of premium organic and fair trade products, gradually expanding outside the realm of cocoa and sugar products. 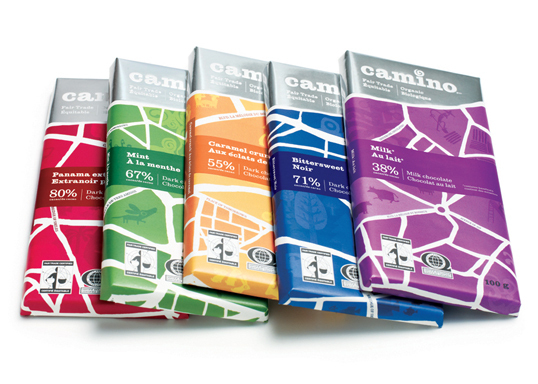 Developed by Karacters Design Group, the brand idea “a joyful food revolution” captures Camino’s belief that through the joy of eating great tasting food made from quality ingredients, people will be encouraged to think differently about their food – where it came from, who made it and what’s in it. 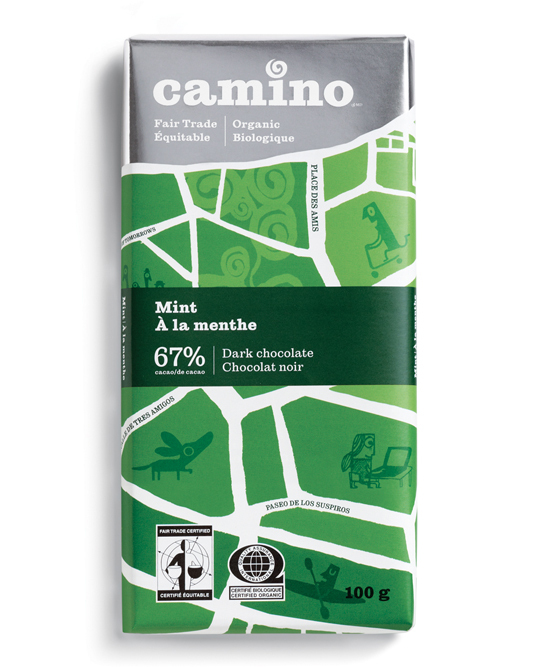 With organic and fair trade products increasingly entering the mainstream, Camino’s refreshed packaging is designed to appeal to the wider demographic who are demanding better food politics. 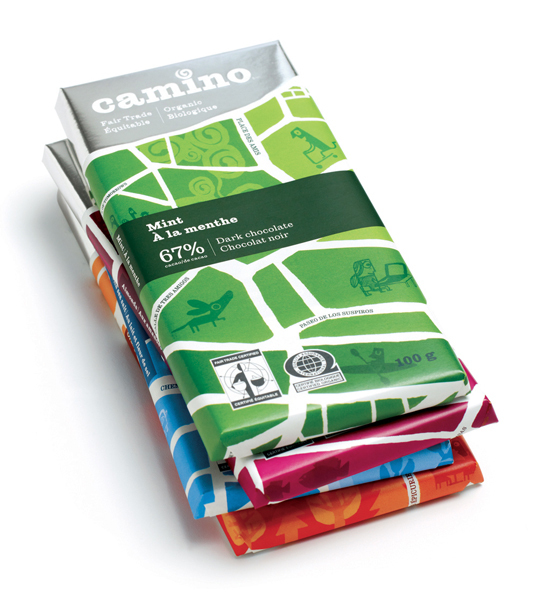 Camino comes from the Spanish word path. 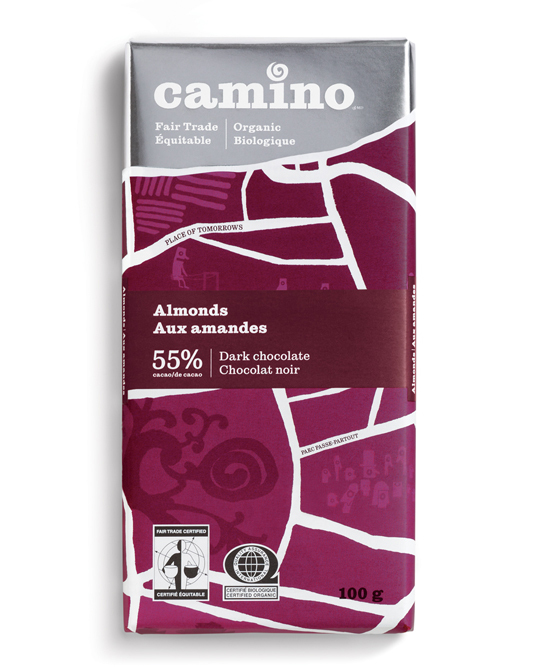 Using this as an inspiration, the custom-drawn map used on the bright packaging is filled with quirkily named streets of joy; the illustrations reflect the happy, vibrant and sustainable communities that Camino contributes to through its organic, fair trade, and co-operative partnerships and practices. 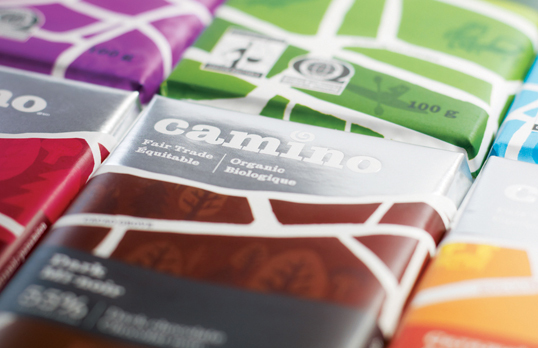 The creative platform developed by Karacters allows for consistent application across a variety of packaging formats, helping Camino to build strong brand recognition and shelf presence as it expands its product lines to chocolate snack bars, sugars, various baking products and more. 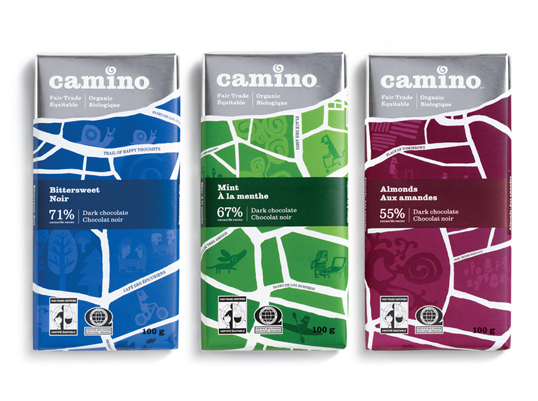 Camino’s new visual identity will be extended to all customer touch points, including a refreshed logo, signage, stationary and website, all timed to coincide with the launch of the new packaging.